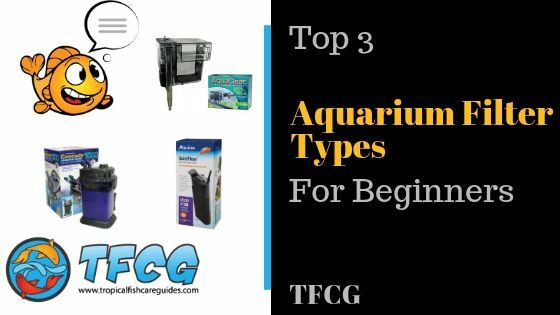 Today in this post we will discuss the top three aquarium filter types for beginners. 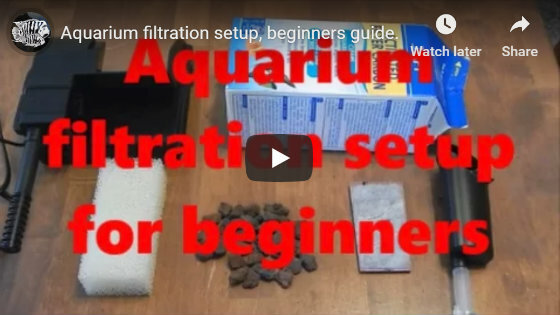 Before we go further, if I had to pick a type of aquarium filter I would have to lean towards a canister filter but as far as beginners are concerned a canister filter may not be an option. But if this is your first aquarium your best bet would be to go with a Hang on a Back filter or an internal filter. So let’s start with the first aquarium filter type. Internal filters are great for beginners for a few reasons. That said one thing a beginner will need to know is to ensure the outlet will disturb/agitate the water surface. This oxygenates the water and allows your fish to breath. Tip: Never clean your filter media with water from your tap or household cleaners. Always use water from the tank to ensure you don’t kill off any good bacteria in your filter media. Lastly, internal filters can’t handle large populations of fish so be sure you don’t overstock your aquarium. The next type of filter is the hang on back filter (HOB). It’s called this because of how you install it on your aquarium. So one advantage of this filter type is that it doesn’t take up any room inside your aquarium. When using a hang on the back filter it’s important to know they don’t typically cause enough surface disturbance to properly oxygenate the water so you may want to add an air stone. Tip: Increasing the oxygen will help increase redox, which means your bacteria will work grow faster. So if you have a heavily stocked tank an air stone is a great idea. The hang on back filter is probably the aquarium filter most beginners will use first. They are very easy to set up and clean, they hold more media when comparing to the internal filter, they take up less room and oh did I mention they are pretty inexpensive to buy. Now, this is my favorite aquarium filter type to use, but trust me you’ll need a few dollars. Canister filters come in many sizes but typically are used in larger aquariums with heavily stocked populations. The canister filter works by sucking the water from the aquarium and pushing it through multiple layers of media located within the canister box. The water is then pushed back out into the aquarium with the outlet tube/pipe. As is the case with all filters make sure you are getting decent surface agitation. The canister can be equipped with spray bars which do a great job disturbing the surface of the water.